(Text automatically translated) In the heart of Black Perigord near the most beautiful villages of France, 15 km from the valley of the Vezere Valley prehistory eyzies of Tayac, the caves of Lascaux, Font de Gaume, the Combarelles the troglolitiques sites: the roque st christophe and madeleine castles: castles losse st leon on vezere village st leon on vezere and sergeac. the valley of the Dordogne is 30 minutes Sarlat, medieval town architecture, Domme, Beynac, Castelnaud La Roque Gageac which are among the most beautiful villages in France. 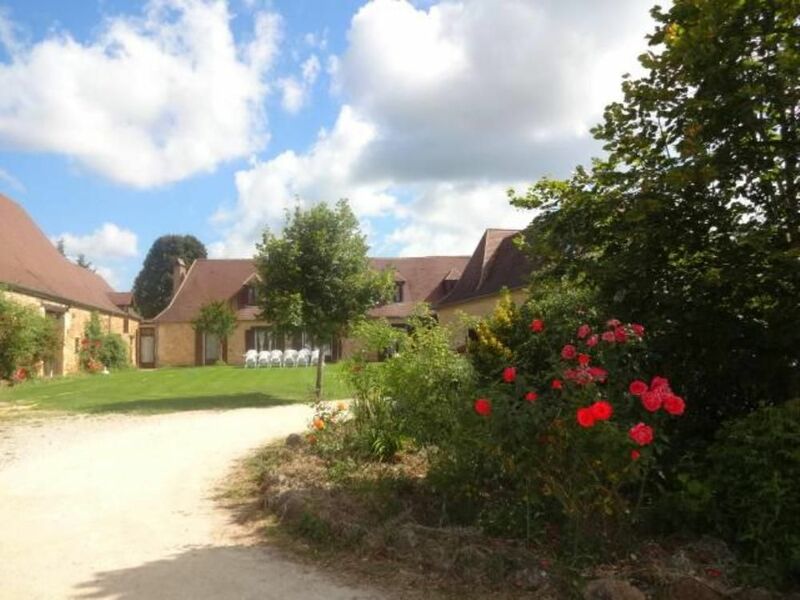 We have 50 km of houses Monpazier Belves Beaumont Cadouin has a half hour from the Valley Lot. Cahors st Circq the Lalopie, Rocamadour and Padirac vineyards of Bordeaux are a 1:15 drive: St Emilion, Pomerol, Medoc vineyards of Bergerac has 1 h00 road , Perigueux is a Gallo-Roman city 30 km to visit museums and old town houses the southern department as Monpazier Beaumont Issigeac Villefranche du Perigord, you will enjoy the cuisine of his porcini Perigord foie gras and other specialties that make the reputation of our area.